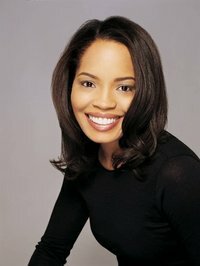 Erica Kennedy was an African-American author, blogger, news correspondent, fashion journalist, and singer. Her 2004 novel Bling became a New York Times bestseller. In 2010, she was named to the list of 100 most influential African-Americans, as published by Ebony Magazine and known as the "Ebony Power 100". Her father died when she was 17 years old. Her mother, Mary Mobley Johnson, was an interior designer. She was raised in Bayside, Queens, with her brother, Kirk Johnson. Kennedy attended Sarah Lawrence College and Oxford University, earning her Bachelors degree in liberal arts from Sarah Lawrence in 1992. Following her college graduation, Kennedy started her career working as a publicist with various top fashion designers including Tommy Hi Erica Kennedy was an African-American author, blogger, news correspondent, fashion journalist, and singer. Her 2004 novel Bling became a New York Times bestseller. In 2010, she was named to the list of 100 most influential African-Americans, as published by Ebony Magazine and known as the "Ebony Power 100".